The following is a very basic description of the chaos that would ensue if the tiger became extinct. If this was to happen, the populations of prey species like Spotted deer and Sambhar would burst at the seams. This excessive population would then totally ravage it's food source - vegetation. If the vegetation in the jungles was devastated, where and how would the insects survive. They may even shift to the crops in farmlands. If the plants in the jungles would be finished, what would refurbish the soil. If the soil was no longer fertile, new plants would not sprout. Over the years, this would probably mean the end of the jungles. It isn't necessary for every one of us to take world-awakening steps. All we have to really do is influence those that are a part of our own lives. Obviously, anyone wanting to do more than that is another breath of fresh air for a dying tiger. 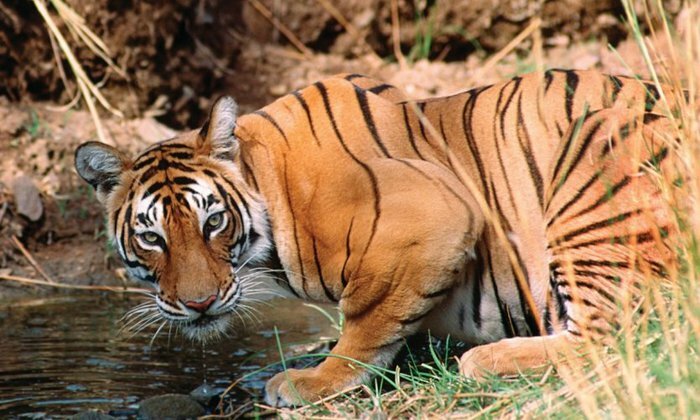 There are many NGOs and other organisations that are totally dedicated to protecting the tiger. We will try and, as soon as possible, give you a list on this site of such organisations, which you can contact and lend a hand in tiger conservation. It is important to realise at the outset, if you are intending to help in this line, that protecting the tiger does not necessarily mean working in operations dealing directly with the tiger. It could easily mean working on assignments dealing completely with villages in Park buffer zones, other animal species, welfare of staff working in reserves, villagers, issues dealing with cattle grazing, etc. The one thing that is common with all these assignments is that they are all directly or indirectly aimed at protecting the jungle and it's inhabitants, which obviously includes the tiger. The main thing that requires a mention here is that if you care for the tiger and want to do something about it - the time is NOW. Act - before it's too late.